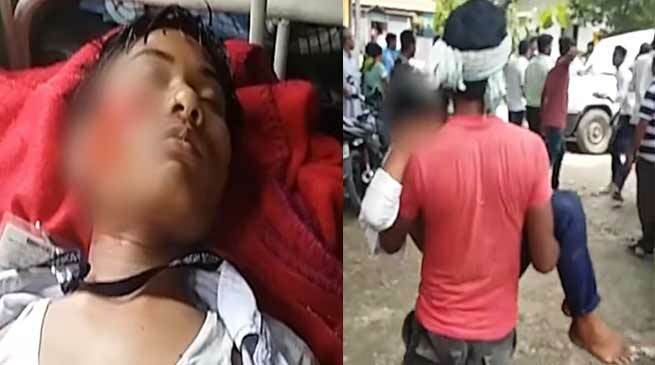 In a major road accident 40 students, who were on their way to take part in AASU’s rally met with an accident in Baksa, Assam. Tata DI truck with 50 students of Kathbari High School, lost control & rolled off the road. 20 are in critical and referred to GMCH. The incident took place near the Jamuguri area when a Tata DI truck, carrying more than 50 students of the Kathbari HS School, lost control and rolled off the road. These students were on their way to participate in a protest rally against the proposed Citizenship (Amendment) Bill, 2016, organised by the AASU in Tamulpur when the accident occurred. The injured students were rushed to the district’s Civil Hospital from were 20 students were referred to the Gauhati Medical College and Hospital.